Both sides […] agreed to proceed step by step, but within a reasonable time, towards overcoming difficulties with a view towards a full reconciliation. It was decided to work towards doctrinal discussions “within a wider and less formal framework than the previous discussions”. Rome left the choice of persons and places to Bishop Fellay. The 86 year old Cardinal Brandmüller was president of the Pontifical Committee of Historical Sciences from 1998 to 2009. Along with Cardinals Müller, Burke, Caffara and de Paolis, he is the co-author of the book called Remaining in the Truth of Christ, which opposes giving communion to divorced and remarried people. The Society of St Pius X and the “Old Catholics” who rejected the Teaching on Papal Infallibility of Vatican I both have in common that they reject the legitimate developments in Doctrine and in the life of the Church. Dignitatis Humanae and Nostra Aetate are not binding on the doctrinal level. I do not understand why our friends in the Society of St Pius X are almost exclusively focused on these two texts. I regret that they do this because these two texts are the easiest to accept given their canonical nature. Can we forget that these texts are the result of secret agreements with the Freemasons, the battles that ensued in order for these texts to be passed, and the disastrous consequences these texts unleashed: the disappearance of Catholic States and the Judaization of the Church? DICI number 307, December 19, 2014, announced that a meeting between the German prelate and Bishop Fellay, accompanied by several priests, was held on December 5, 2014, at the seminary in Zaitzkofen. The 53 year old Bishop Schneider is the auxiliary Bishop of Astana in Kazakhstan since February 5, 2011. According to Sandro Magister, the well-known Vatican insider, L’Homme Nouveau number 1500 considers the Bishop to be “the best student of Benedict XVI”. During the symposium Reunicatho held in Paris in January of 2014, Bishop Schneider made a resounding appeal for the reform as set out by Benedict XVI. At various points of his intervention, Bishop Schneider stated his position on the principal points of today’s question. It is the Vatican II Council that gave a wider understanding of the Mystery of the Church according to the Teaching of the Fathers of the Church […]. Thus, the Church has been seen as “a people made one with the unity of the Father, the Son and the Holy Spirit” (Lumen Gentium 4) 2. Ecumenism is necessary in order to be in contact with our separated brethren and in order to love them. From the depth of the challenge offered to us by the new paganism, we may and we must collaborate with non-Catholics who seriously wish to defend the revealed Divine Truth [which they reject!] and the Natural Law that God created [which they do not observe!] 4. Bishop Schneider is actively involved in the ecumenical movement in Kazakhstan, as shown by this photo published by the official website of the Canadian government. 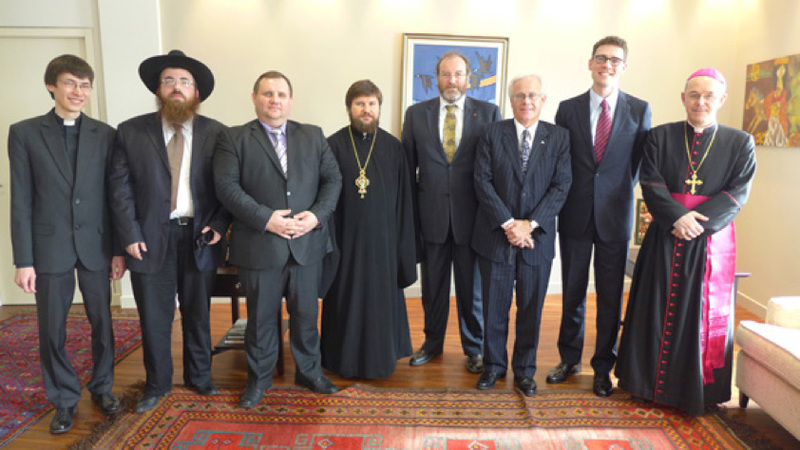 It was taken on March 18th, 2013 during an ecumenical meeting at the Canadian Embassy in Astana, gathering together the different Catholic, Protestant, Orthodox (schismatic) and Jewish “religious leaders” of Kazakhstan. It is important to note that a “parliament of religions” is held every year in Astana. 03-18-2013: Mgr Schneider meets with various “religious leaders” of Kazakhstan. Let us be grateful to God that Pope Francis has not spoken in the manner that was expected by the media. Up to now, he expresses in all his official homilies the beautiful Catholic doctrine. Bishop Schneider would do well to read the study done two months earlier by Alexander-Marie in Les Editions Du Sel and also published in Clovis: The strange reign of Pope Francis. The study reveals what the Pope believes on Islam, on Judaism, on laicizing of the State, on homosexuality and even on Freemasonry – in short – so much for “the beautiful Catholic doctrine”. The deepest wound of the present crisis in the Church is the wound of the Eucharist, the abuses regarding the Blessed Sacrament. This is why we oppose [the present Rome], and this is why we cannot agree. It is not firstly a question of the Mass, because the Mass is just one of the consequences of the fact that they wanted to get closer to Protestantism and thus to change the worship, the sacraments, the catechism, etc. Already in the spring of 2014, Bishop Schneider was received at the SSPX seminary in Zaiztkofen by the rector, Fr Schmidberger. While he was there, he gave a conference to the seminarians. 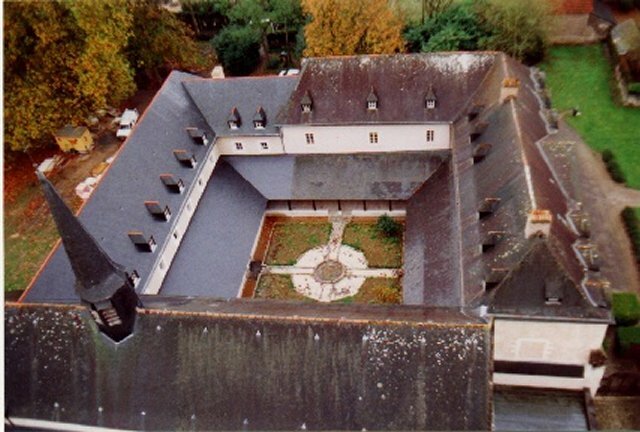 One reunion was to be held at the Saint-Cure d’Ars Seminary in Flavigny (France). This reunion already took place on January 15, 2015, during which Bishop Schneider gave two conferences to the seminarians. He also visited the nearby school of the traditional Dominican teaching sisters of Pouilly-en-Auxois (Congregation of Brignoles), where he gave a conference to the sisters. 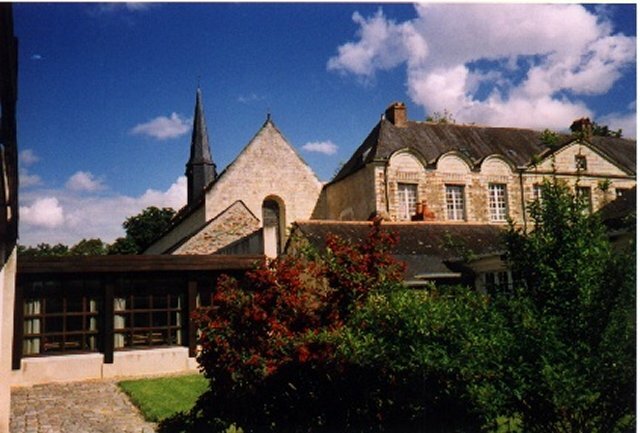 Before visiting Flavigny, Msgr Schneider had a reunion in the Ecclesia Dei Seminary of The Good Sheperd, in France, where he gave a conference to the seminarians. The next reunion was held at the St Thomas Aquinas Seminary in Winona (U.S.A.) in February, where he met 80 priests of the U.S. District. Surprisingly enough, no announcement has yet been made of a visit to Ecône. The relatively young Bishop Schneider, who is friendly with the Ecclesia Dei circles, is opposed to communion in the hand, does not mince words about the last synod, and likes the splendor and pomp of the traditional liturgy, and yet is imbued with “the strange theology” of Benedict XVI of whom he is considered the “best student”, no doubt has the ability to seduce more than one seminarian… or priest. To develop cordial ties with this group, along the same lines as the September meeting held in the Vatican, and to reach full communion with the Church. Several canonical solutions were raised. Fr Carlos Reyes, the secretary of the Episcopal Commission for Inter-religious Dialogue, visited on November 18, 2014 the SSPX priory in Manila in order to meet with Fr Nely, second assistant to Bishop Fellay, and also with the priests of the priory. Walter Brandmüller Le chiavi di Benedetto XVI per interpretare il Vaticano II, Sienna, Cantagalli, 2012. Archbishop Marcel Lefebvre, Spiritual Conference, Ecône, March 17, 1986. Bishop Athanasius Schneider, Interview with the La­tin Mass Society, May 30, 2014. Athanasius Schneider, Corpus Christi, La communion dans la main au coeur de la crise dans l’Eglise, Editions Contretemps, 2014. Preface from Cardinal Burke. La Lettre de Paix Liturgique (a French “conservative” conciliar review) number 249, September 24, 2010. Archbishop Lefebvre, The Church infiltrated by Modernism, Editions Fideliter 1993, p. 70. Fr. Philippe Toulza, “the Tradition, the Church, the world”, Fideliter 223, January/February 2015, p. 70. Archbishop Lefebvre, Spiritual Journey, Prologue.